If you own cryptocurrencies, chances are you expect prices to rise over time. But Bitcoin, Ether, and other digital coins are notoriously volatile, so what do you do if you need cash and don’t want to sell your cryptocoins? Enter BlockFi, a company that lets you borrow against cryptocurrencies you already own. 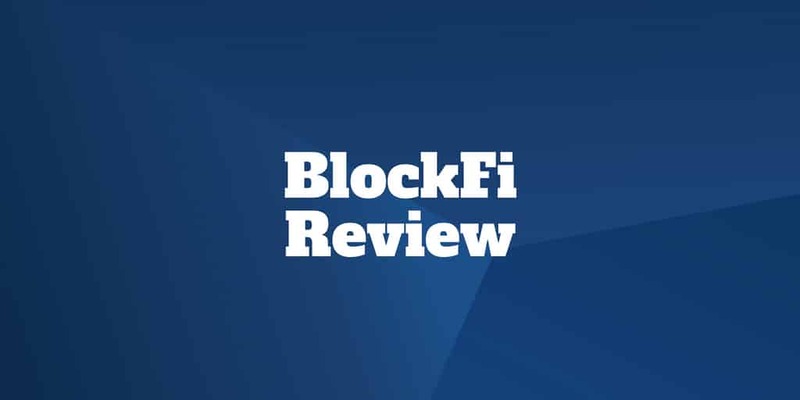 Unlike a bank or traditional lender who would probably shudder at the thought of lending hard cash against your digital coins, BlockFi has based its entire business around that idea. But before borrowing against your cryptocurrencies to pay for a new boat, vacation, or wedding, you need to know how BlockFi loans work, how much you need to qualify and what lending requirements are imposed. Why Choose BlockFi Crypto Loans? What If My Cryptocurrencies Fall In Price? BlockFi founder, Zac Prince, hit bingo when he realized that a lot of people owning cryptocurrencies want to hold onto their digital coins but also need cash from time to time to finance various purchases. Before BlockFi, cryptocurrency holders would have been forced to either sell their coins in order to raise cash or apply for a traditional loan that may require other assets to serve as collateral. Individuals who wanted to hold on to their coins in the hopes of higher future prices would miss out on those gains by selling. Unlike traditional banks, BlockFi allows owners of Bitcoin and Ether to use their digital coins as collateral so they don’t miss out on upside gains or get hit with tax bills unnecessarily. The most important thing to know about BlockFi loans is that they are secured loans, meaning your cryptocurrencies serve as collateral. This means if you stop paying your loan, BlockFi has the right to keep your digital coins. It’s similar to a traditional bank using a property as collateral on a mortgage. If the borrower stopped paying off the loan, the bank would repossess the house. Obviously that’s an outcome you as the borrower and BlockFi as the lender wish to avoid. To help sidestep such as negative event, BlockFi puts in place risk measures to lower the chances of default. To qualify for a BlockFi loan, you will need to first own either Bitcoin [BTC] or Ether [ETH]. Assuming you pass the qualification criteria, which we’ll highlight below, you may borrow up to 35% of the total value of your cryptocurrencies. Due to the volatility of digital coins in general, BlockFi has determined this percentage gives borrowers enough breathing room before a so-called trigger event. Perhaps the easiest way to explain a trigger event is to share an example of a cryptocurrency holder who takes out a loan against say $100,000 worth of Bitcoin. Because BlockFi loan-to-value ratios are limited to 35%, the borrower could be eligible for a maximum loan amount of $35,000. But what if the value of Bitcoin drops by 50% thereafter and is worth just $50,000? At that point, the loan proceeds of $35,000 are equal to 70% of the value of the collateral (because $35,000 divided by $50,000 is equal to 70%), which is the threshold at which a trigger event takes place. When BlockFi notifies borrowers a trigger event has taken place, it means they must contribute more collateral (borrowers have 72 hours to post more collateral). While this may seem like a cause for nail-biting, the likelihood is you probably aren’t a nervous nelly if you own cryptocurrencies in the first place as they tend to be volatile. The bottom line is you’ve got some decent cushion room because the trigger event is only issued when the value of the coins drops by 50% or more. When you apply for a BlockFi loan, your cryptoassets are held in storage by Gemini, a licensed custodian and depositary trust. As a third party storage provider, Gemini is responsible for safeguarding deposits. It also incurs the legal liability and insurance requirements. So far, Gemini has demonstrated a perfect track record of securing assets with no customer fund losses on record. For heightened safety, most cryptoassets are held in cold storage offline, so, even if hackers were successful online, most assets would be inaccessible. Typically cold storage means assets are held in bank vaults at different locations. The nice thing about applying for a BlockFi loan is it won’t hurt your credit score. Unlike a loan from a traditional lender which typically hurts a borrower’s FICO® credit score when a hard check is performed, a BlockFi loan is issued with no credit check. The reason BlockFi can sidestep this standard lending requirement is cryptoassets are transferred to Gemini and held as collateral before loan proceeds are issued so the risk to BlockFi is mitigated. And while you can side-step the usual credit check requirements, you will still need to have a financial history without bankruptcies or asset liens to qualify. Standard requirements like personal details and social security information will be required too. And a minimum amount of cryptocurrency assets may be demanded also. Six steps are involved in the BlockFi loan process. Pay special attention to the structure of BlockFi loans, which require you to pay only interest until the very last payment. That means your monthly payments may seem fairly low compared to a principal plus interest loan but equally it requires you to make a large payment at the end of the loan term. So, let’s say you borrowed $35,000 based on collateral of $100,000. Each month you would pay only the interest but at the end of the loan period you would be required to repay the full $35,000. If you’ve gone out and bought a boat in the meantime, you’ll need to find that cash from somewhere to make that final balloon payment. A silver lining may be that if your cryptocurrency assets have risen between the time you borrow and the time you pay off your loan then you get to enjoy the spoils (and the cash in the meantime)! The spark of inspiration behind BlockFi came when founder Zac Prince was applying for a traditional bank loan. Having invested some money in cryptocurrencies, he figured why not include those digital coins as assets that could serve as collateral for his loan application. But to his surprise, the bank attributed no value whatsoever to his cryptoassets. Zac realized other borrowers were probably encountering the same hurdles from traditional lenders and BlockFi was soon born. It didn’t take long for BlockFi to get on the radars of some serious investors. SoFi, the billion dollar student lending company, invested in BlockFi as did famed cryptocurrency investor, Mike Novogratz, via his company Galaxy, and a host of other venture firms. In its first year, BlockFi raised over $56 million in equity and debt capital. ✅ Cryptocurrencies As Collateral: Holders of digital coins can use their cryptoassets as collateral to borrow money. ❌ Origination Fees: BlockFi charges a 1% origination fee on loan proceeds. ✅ Reasonable Rates: Rates between 10% → 13% are very fair in our view considering how volatile cryptocurrencies have been historically. ❌ High Asset Hurdle: Borrowers will generally need to have at least $15,000 worth of Bitcoin and/or Ether in order to qualify for a loan. ✅ Fast Application Process: In as little as 24 hours you can receive loan proceeds. ✅ No Hard Credit Check: Your credit score will not take a hit when you apply for a loan because no hard credit checks are performed. ✅ Fair Trigger Level: BlockFi will require additional collateral only if collateral falls in price by 50% or more corresponding to an LTV of 70%. ✅ Payment Methods: You can pay back your loan with Bitcoin, Ether, or U.S. dollars. ✅ Interest Only Payments Until Final Payment: You only need to pay principal back at the end of the loan term. For cryptocurrency owners who need cash but don’t want to sell their Bitcoin or Ethereum, BlockFi offers an innovative lending solution. You don’t have to sell your digital coins and pay capital gains taxes or miss out on the upside if prices rise as you would have been forced to do previously. The application and approval times are lightning fast compared to traditional lenders, who most likely wouldn’t even categorize your cryptocurrencies as assets anyway. And your credit score won’t be dinged either because no hard credit checks are performed. Bitcoin and Ether holders will need to own at least $15,000 to get started and can only borrow up to 35% of that amount, however we believe that percentage is reasonable given how volatile digital coins have been historically. You will be charged an origination fee – which counts against BlockFi in our view – but the silver lining is you only need to make interest payments until the final loan payment is due at which time principal also must be paid back. The bottom line is if you own cryptocurrencies, don’t want to sell them, but need cash, BlockFi offers an attractive lending solution that is hard to overlook.